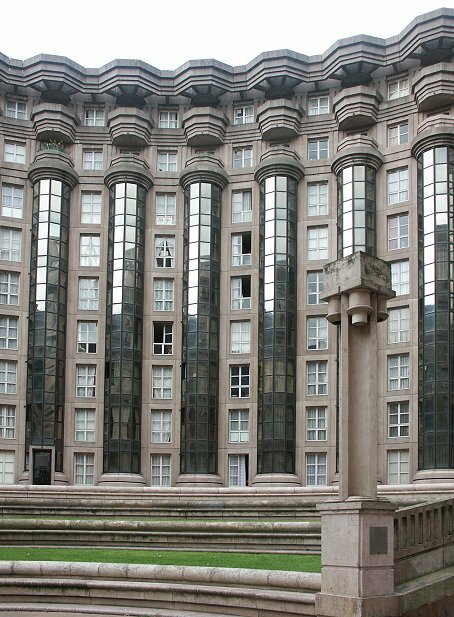 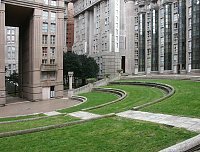 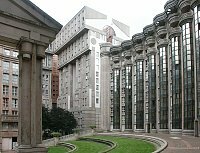 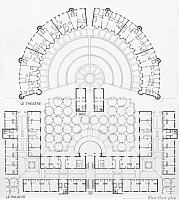 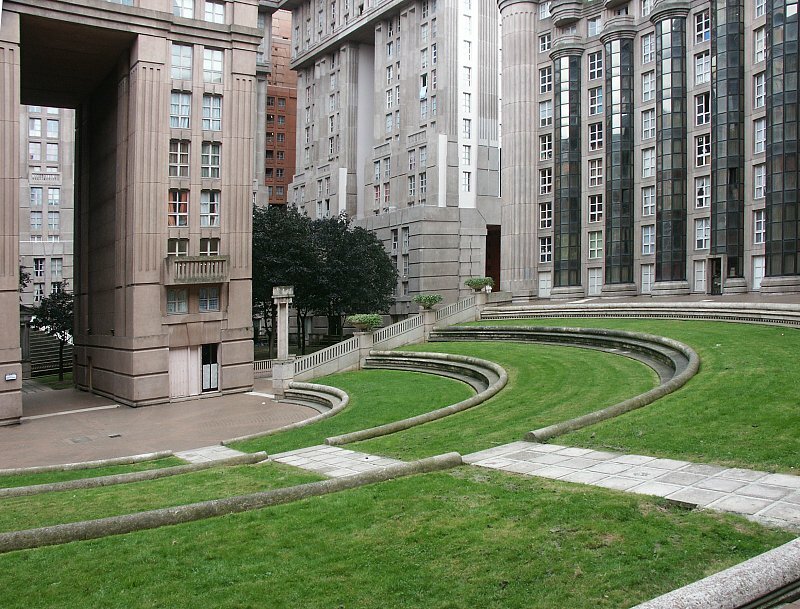 The complex is made up of three main parts: the Palacio, a 19-story high apartment building (bottom of the plan); the Théâtre, a curved section of apartments demarcating a plaza in the center; and the Arc in the center--modelled on a triumphal arch containing 20 apartments. 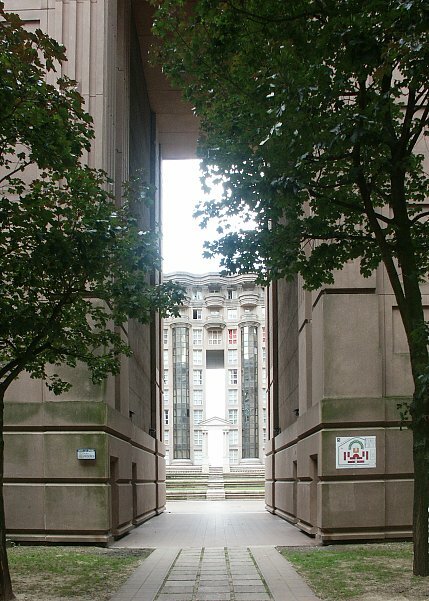 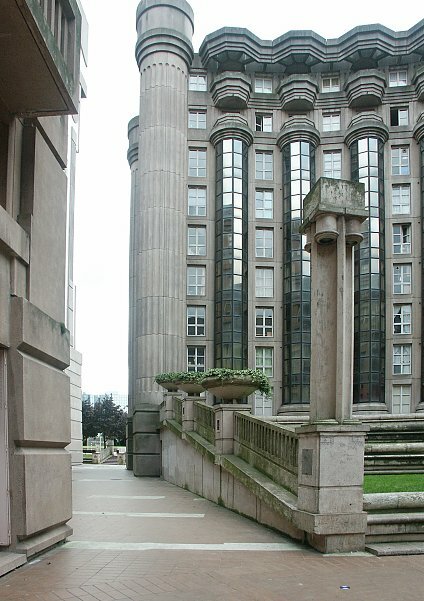 These various areas, as well as the details in the architecture, are neo-classical elements--all as a way of aggrandizing this modern social housing. This housing development, then, contrasts, dramatically with the slab housing blocks of so much modern housing. (See, for example, August Perret's post-war rebuilding of Le Havre.) 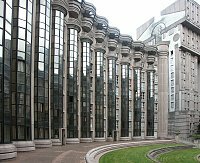 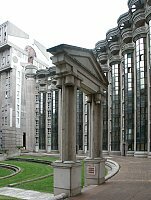 At the same time, most of these classical references are ironic, a characteristic of Post-Modern architecture. 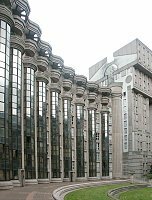 In addition, the materials are not traditional: the complex is made of reinforced concrete and glass sometimes stands in for stone. 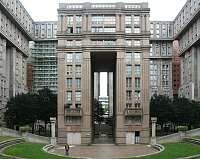 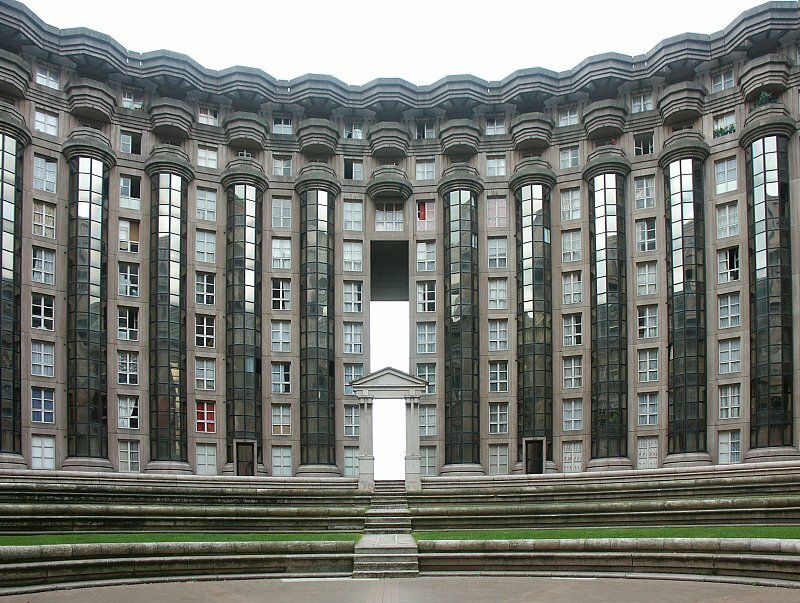 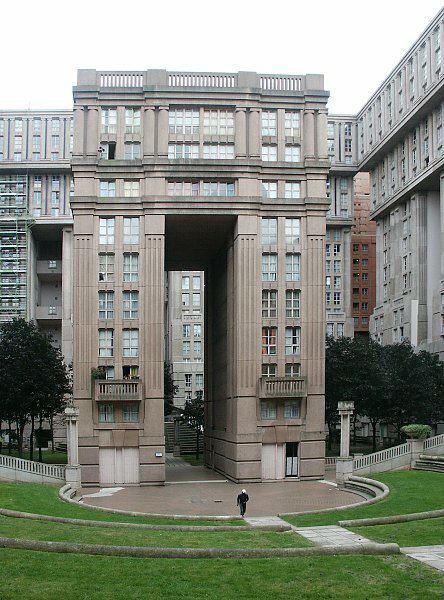 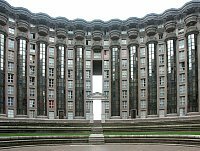 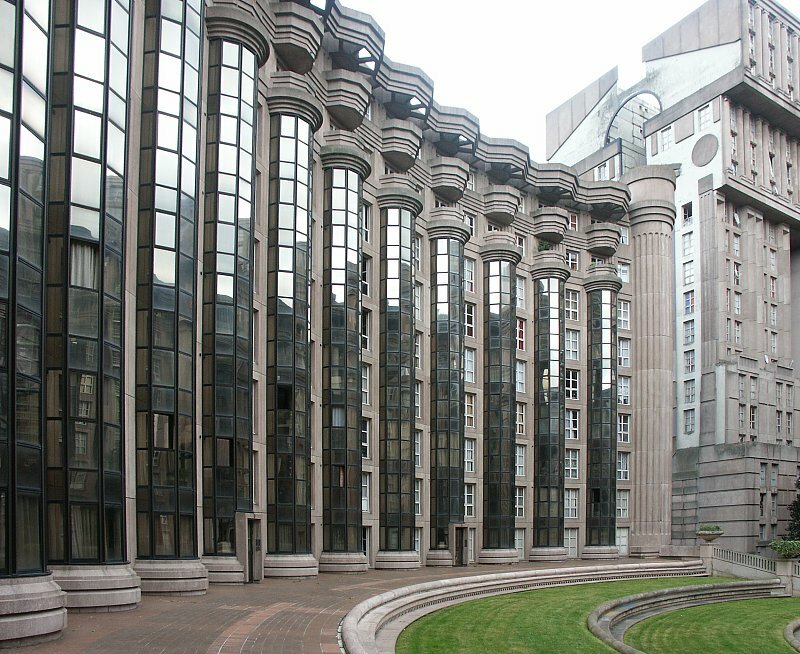 One opening in the center of the amphiteater (see below) is called an urban window by Bofill; the axis of the complex is emphasized by the small pedimented arch at the entrance which leads the eye to the Arc. 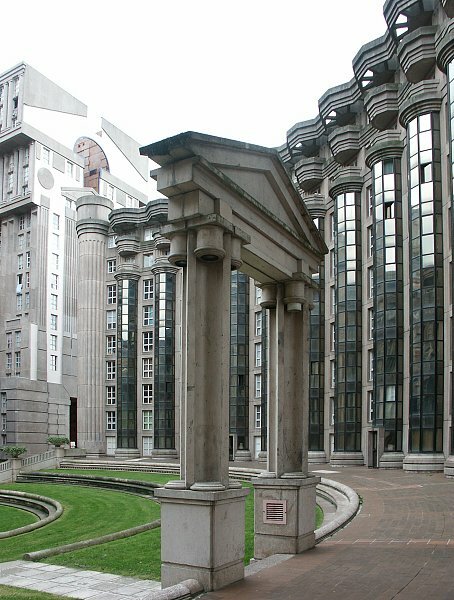 This arch, like the "columns" in the Palacio, has concavities where the columns would have been. 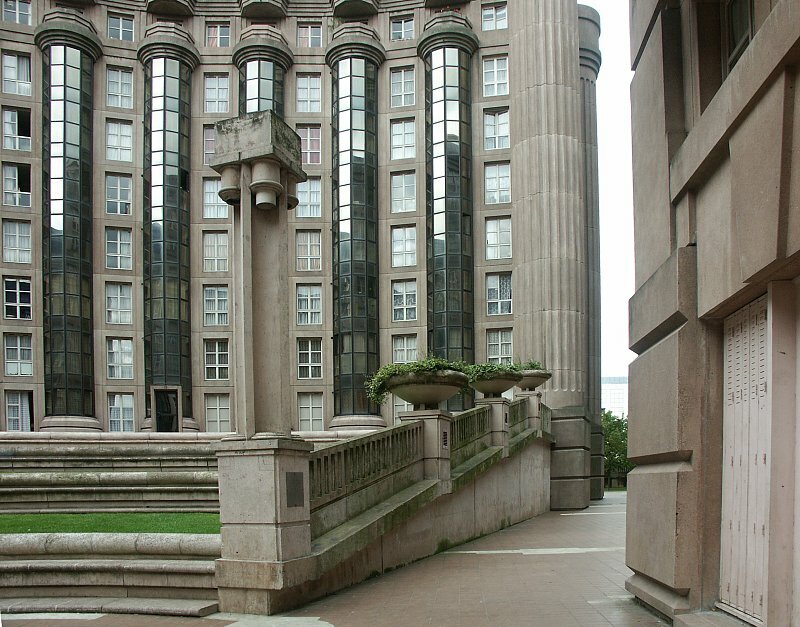 Here the "classical" columns are of the gigantic order--nine stories tall--and "fluted" with reflective glass. 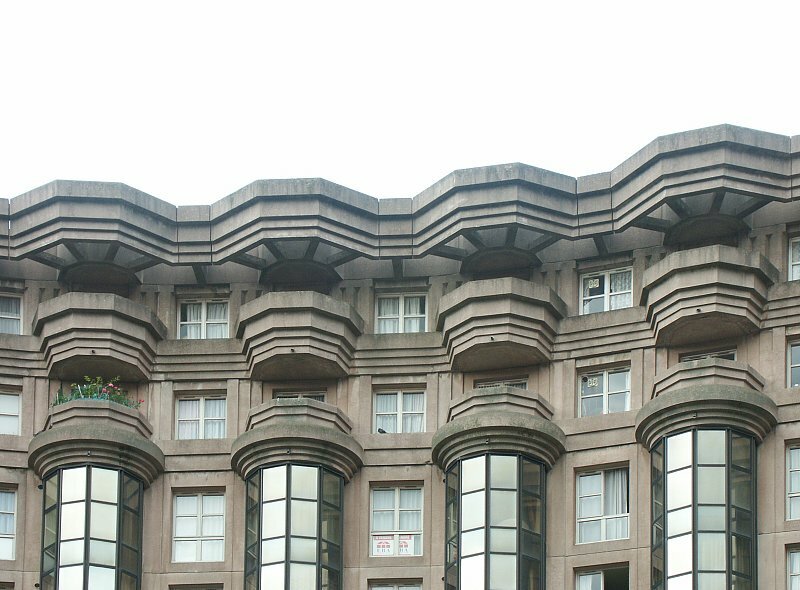 They are surmounted by "capitals" of several stories which at one point seem to have been used as containers for potted plants. 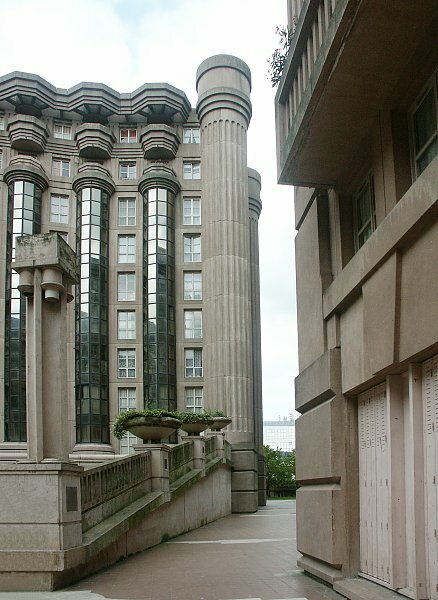 Kitsch pediments decorate some of the upper intersections. 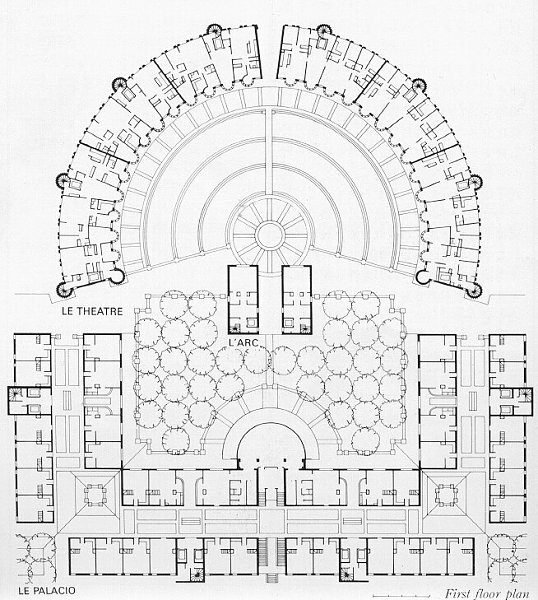 See also page 3.